Since 1997, Jackpot Casino has been providing visitors and residents of Red Deer, Alberta, Canada with a great place to enjoy gaming, entertainment, food and much more. They are a Las Vegas style casino that has a great collection sports and rodeo memorabilia. The atmosphere created in this casino allows everyone to enjoy a fun day or evening playing their favorite games. While Jackpot Casino may not be the biggest casino around, it does not lack for plenty of great games. Slot machines include traditional and video machines. There are some of the latest and best known games on the casino floor for players to enjoy. The machines include penny machines and up to dollar machines. Included in the mix of machines are in house progressive machines along with provincial progressive machines. They give the players the opportunity to hit big jackpots while playing the slots at Jackpot Casino. All of the machines have the ticket in/ticket out style of payments. No coins are accepted just like in the big Vegas casinos. It makes it much easier to switch from one machine to another and to enjoy more of what the casino has to offer. All of the dealers at the tables are trained professional. The casino is committed to providing their guests with a fair and safe gaming environment. They also encourage all fo their visitors to gamble responsibly. 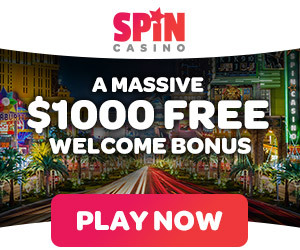 The smaller size of the casino does not prevent it from offering some great promotions. The Snowball Bonanza Jackpot is a drawing that occurs 5 times a day. Registering for this jackpot is free and easy to do. During the drawings 10 names are chosen as winners of $1,000. There are only two requirements for this drawing. The winner has to register and they have to be present to win. On Wednesday, visitors to the casino that are 55 years old or older are eligible to register for the senor draw. This is a $500 cash giveaway. For this drawing the winner does not have to be present to win. The Lucky Lounge restaurant serves great food to all of the visitors tot eh Jackpot Casino. They offer a great selection of Chinese and western food. On Sundays there is a chines buffet laid out for the visitors. The sports lounge also has televisions with the games on and great drink specials. There are also video lottery terminals that can be found in the sports lounge. Jackpot Casino is located at 4750 47 Street, Red Deer, Alberta. They are open 7 days a week. The hours of operation are 10 am to 3am daily. More information about the casino can be obtained through email at jackpotcasino@telus.net or by phone at 403-342-5825. Information can also be found out in person at the casino through their guest services.